This phrase underlines how, in someone’s life, the importance of things may change suddenly, just as it happened to the powerful man suddenly petrified of being trampled to death, after being dismounted in the midst of a bloody battle.Well, if Shakespeare were still alive we may hear him crying out something similar! Why? Because in Milan the Istituto Studi Floriani is working out a story which could really dismount the famous English poet, playwright, and actor, widely regarded as the greatest writer in the English language. The story begins in the early years of the twentieth century when Santi Paladino, an Italian journalist, came across an old book bound in a worn parchment in his father’s library. It was a volume of thoughts and sayings entitled “Second Fruits” dated 1549, and written by Michelangelo Florio, a Catholic friar converted into a Protestant minister. According to Santi Paladino, this rare book recalled quotes and phrases that are in Shakespeare’s dramas and works, but were written at least fifteen years before the birth of the Bard of Avon. It is well known that many biographers and scholars have expressed doubts about the writer from Stratford, so after the discovery of this old book, some researchers, both Italian and foreign, started investigations to trace Michelangelo Florio’s life. Their work was then stopped during the war, but started again around twenty years ago, when the Tuscan Saul Gerevini and the Milanese Sergio Corrado Panzieri took data from the point left by Santi Paladino, fueled by the many doubts about Shakespeare’s writings, his cultural background, the paucity of documentary evidence and historical references. They went back to the Counter-Reformation period, when the religious persecution undertaken by Pope Paul III and Julius III’s successor, forced a large number of intellectuals, scientists, scholars, writers, merchants, bankers, and certain senior ranks of the hierarchy of the Catholic Church itself, to abandon their activities in Italy and go into exile. Among them, in 1550, the friar Michelangelo Florio reached the England of Henry the VIII, and started a new life at the Chelsea Court as an Italian and Latin teacher to the future queen princesses Elizabeth, her sister-in- law Jane Grey, and their cousin William Herbert 1st Earl of Pembroke. In England Michelangelo got a high social position, married and had a son called John, who grew up speaking Italian with his father and possibly fluent English with his mother. Thanks to the family, John Florio, not yet forty, became a teacher of foreign languages, accredited at the court of Elizabeth in Oxford, and a close friend with the most esteemed representatives of British culture. His fame peaked after he published the first English-Italian dictionary, entitled “A World of Words”, a preparatory work for solving the difficulties in the translation from the Greek and Roman classical texts, even encouraging the spread of the new humanistic and Renaissance culture among British citizens. Saul Gerevini and Sergio Panzieri say that, following these traces, in a recent edition of the Encyclopedia Britannica, they discovered a possible close relationship between John Florio and a young William Shakespeare, since the latter in his twenties went to London to continue his education with John. To this point, they founded in Milan the Istituto Studi Floriani (Institute Floriani Studies) giving life to an organic critical review of the “Shakespeare case” in Italy and abroad. When the first results of their new research were spread, many other academics and scholars of various countries became involved, to the point that today the Institute has increased its membership to include a good number of members from the U.S.A., Canada and Europe, as well as England. They all agree with the fact that in Shakespeare’s pages, Italy is so well described in detail, there are so many analytical pictures and names of places, inns, streets and churches! 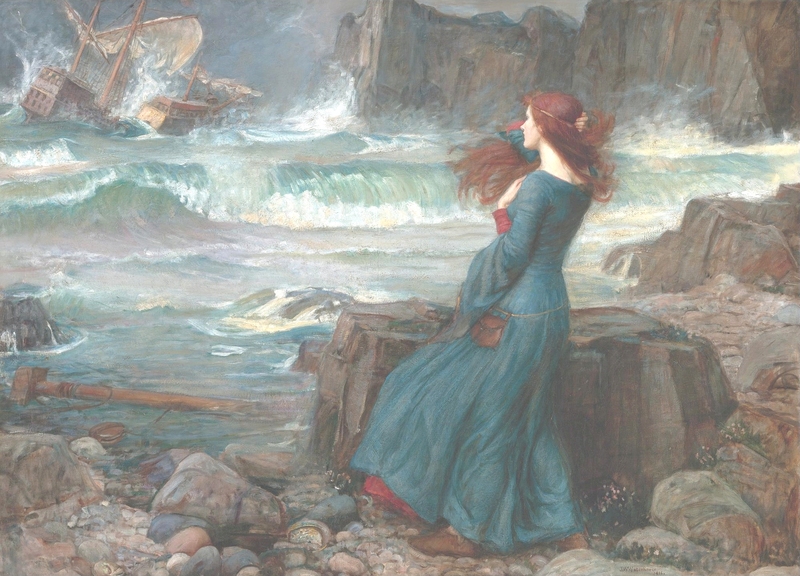 But the determinant factor that links John to Shakespeare’s writings becomes evident by reading the drama “The Tempest.” Here the protagonist Prospero is the rightful Duke of Milan, whose usurping brother, Antonio, had put him and his daughter Miranda, to sea on a rotten carcass of a boat to let them die. Luckily they survive by landing on an island. This place could be Vulcano, which is just in front of Messina, the Sicilian hometown of the Florio family, since among those pages the names of some Vulcano caves are mentioned and the different colors of its volcanic sands are depicted! If Verona is still the favorite town for tourists in search of the tragic archetypal story of unlucky young lovers, after the Panzieri studies, Milan has risen as one of the cornerstones of the “Shakexit” research! It is the city where the friar Michelangelo Florio spent the longest proselytizing in favor of the Reformation, and in the context of the many historical events evoked by various Shakespearian works, it is possible to find quotes of Milanese places. Just as an example in “Hamlet” and “The Two Gentlemen of Verona” Shakespeare writes about two Danish noblemen, such as Guildenstern and Rosencrantz as they are written in the English texts, namely Knud Gylestierne and Frederik Rosenkrantz, whose presence in Milan in 1533 is certified in an original document retained in the historic archives of the Milan Duchy.